Professor Ruby Lal, Middle Eastern and South Asian Studies, will be discussing her recently published book, "Empress: The Astonishing Reign of Nur Jahan", with Rajeev Kinra, Associate Professor of South Asian and Global History at Northwestern University; Susan Gagliardi, Assistant Professor of Art History; Rosemary Magee, Fox Center Senior Fellow; and Walter S. Melion, Director, Fox Center for Humanistic Inquiry. Ackerman Hall, Level Three, Emory Univ. 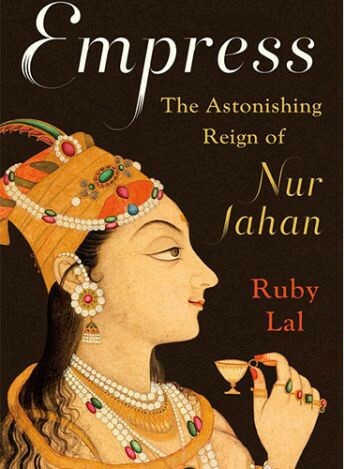 In 1611, thirty-four-year-old Nur Jahan became the twentieth and most cherished wife of the Emperor Jahangir. While other wives were secluded behind walls, Nur, an astute politician and innovative architect, whose work inspired her stepson’s Taj Mahal, governed alongside her husband and in his stead as his health failed and his attention wandered from matters of state. 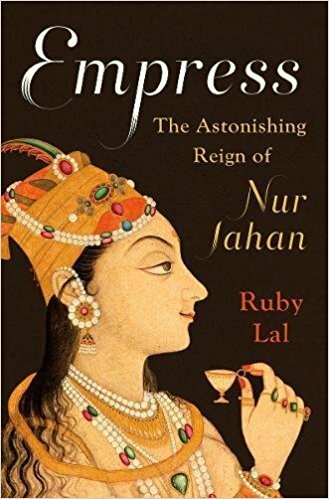 In a talk based on her new book, Empress: The Astonishing Reign of Nur Jahan, Ruby Lal, Professor of South Asian Studies, uncovers the rich and complicated world of this dazzling figure and provides new insight into the lives of women and girls in the Mughal empire. Dr. Lal will sign copies of the book, which will be available for sale at the event. This lecture is cosponsored by Emory’s South Asia Seminar Series.